Hit the streets like you own them simply by wearing silk Tulliano sweaters. Tulliano is a brand that makes classic Italian style knitwear for men that is a cut above because the knit is made of fine silk and cotton blend yarn. 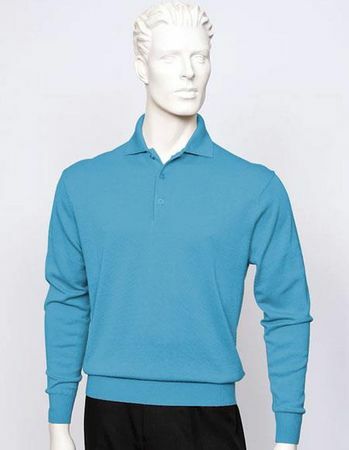 This heather blue color polo sweater features that Tulliano style that you simply must have at your disposal.